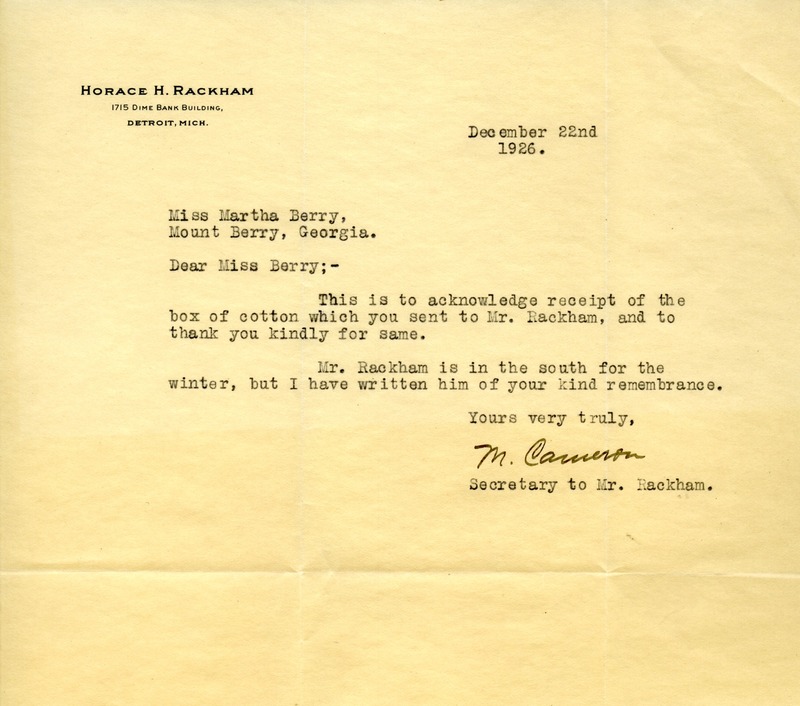 A letter thanking Martha Berry for the cotton she sent Horace H. Rackham and explaining that he has gone south for the winter. M. Cameron, “Letter to Martha Berry from M. Cameron.” Martha Berry Digital Archive. Eds. Schlitz, Stephanie A., Olivia Mund, Cameron Atwood, et al. Mount Berry: Berry College, 2012. accessed April 21, 2019, https://mbda.berry.edu/items/show/3228.